Since version 5 of Rhino, Gumball has become an indispensable and useful aspect of the software. However, Rhino 3D’s Gumball is not just for moving, rotating and scaling objects. This video demonstrates Gumball usage for the freeform and organic Modelling of Chair. 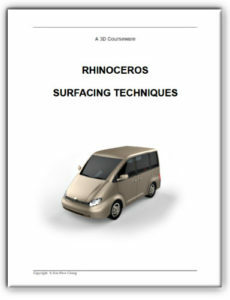 To purchase Rhinoceros Surfacing Techniques Book via Amazon, click on book cover image shown below.